There are tons of tech gifts to buy teen boys and there are ones for every budget too. This article suggest 10 different ideas with links to more information to help you make a decisision. Chromebook - I have a chromebook and love it. It's small, portable, simple to use, fast and very inexpensive. To find out more check out my article on Chromebook for teens. Dell Inspiron - This is 15.6 inch laptop. It's inexpensive but is a great basic laptop to get all of your schoolwork done using MS office as well as web browsing, Youtube. It has a good sized screen too. Apple MacBook Pro with retina display - if money is no object go for an Apple macbook pro. I can't give this a good enough review in a few words. But its' quick, sleek design, stunning 13.3 inch retina display, up to 9 hours of battery life, excellent build quality, will last and keep its value. There's lots of tablets to choose from, from the budget Kindle Fire to the Ipad mini. Check out the best tablet for teens. The Boogie Board writing tablet makes an inexpensive tech gift. It's really thin and portable so you can easily take it wherever you would like in your bag (maybe between home and college school). Use it to do workings out for homework. Leave messages for family and friends and they can write a reply back. Write to do lists. Doodle when you're waiting or perhaps on a long car journey. Write down messages from phone converstations. Draw pictures, play games - whatever you want to write down. When you have finished with your notes, just press a button to erase them. You then have a clean slate to start again. It's great for eliminating all those pieces of scrap paper you have lying aroung too. Media streaming players allow you to stream extra TV, Internet and music channels via the Internet through your TV. They're great for streaming extra channels to a TV in a bedroom. There are lots of media streaming players availabe from google chromecast, to Roku to Apple TV. The Amazon Fire TV Sticks one of the most inexpensive media streaming players. Just plug it into the HDMI port of your TV. The Fire TV Stick is an easy way to enjoy Netflix, Amazon Video, Hulu, HBO NOW, low-cost movie rentals, live and on-demand sports, music, photos, games, and more. You can take it with you and plug into any HDTV so you don't miss any of your shows. It's a perfect gift to take to college if he is going. Another futuristic features of the Amazon Fire TV stick is the voice remote. You can launch and control content using your voice. The voice control is called Alexa. Ask Alexa to play a TV or move program or launch netflex and it will do just that. You can also ask Alexa to play songs, find movie or TV show times or even order pizza. One media streaming player to look out for in October 2015 is the new Apple TV. This is set to be a hot gift for Christmas 2015. The Apple TV has been redesigned and upgraded to include some bold and cutting edge new features. They are set to include a new app store for a new age in television, The remote control has a microphone and will work with Siri and will double as a motion game controller as well. Looks set to be an exciting gadget to add to a teen boy's collection especially if they already live in Apple World with an ipad and other Apple gadgets. This is a really cool piece of very new technology that is a perfect gift for tech enthusiasts. The band fits on your arm and can read five different gestures. You can then use these gestures to control all kinds of technological devices without touching them. So, you have hands free control. The armband uses Bluetooth Smart to connect to Mac, Windows, iOS, and Android devices. It can also be used with to fly your Parrot Drone or drive your Sphero. The device isn't perfect, its' still in quite a developmental stage. However if you're buying for somebody who loves to investigate new tech and wants to step into the future and see what it holds it makes a fab gift. The Bose Soundlink color bluetooth speaker offers excellent sound with the quality you would expect from Bose even with such a small speaker. Wirelessly connect it to your bluetooth device and you can play music wherever you go, from friend's houses to the park. It is really lightweight and portable and has a range of about 30 feet. It also has a 7 hour rechargeable battery. The Amazon Echo is a piece of voice recognition software that will answer questions and which you can command to do things. So it will tell you the news, weather and traffic updates. Ask it set alarms and timers. Use it to put together to do lists and shopping lists. It also has a connection to Wikipedia so ask it definitions, answers to common questions and more - this can be great for quick research. It also works as a speaker and will stream music from Amazon Prime and other music services and it can fill the room with sound. You can also use it to play audiobooks as well. There are so many headphones in this category. Find headphones with top notch sound, ones which keep your ears warm and earphones which don't tangle. Check out the top 4 headphones for teen boys. If he is into sports and fitness there are tech gifts that can add value to his hobby. For example, activity trackers such as a fitbit will measure his daily activity such as calories burned as well as quality of sleep. Some have extra function such as a heart rate monitor which is suburb if he wants to target workouts in a specific heart rate zone. 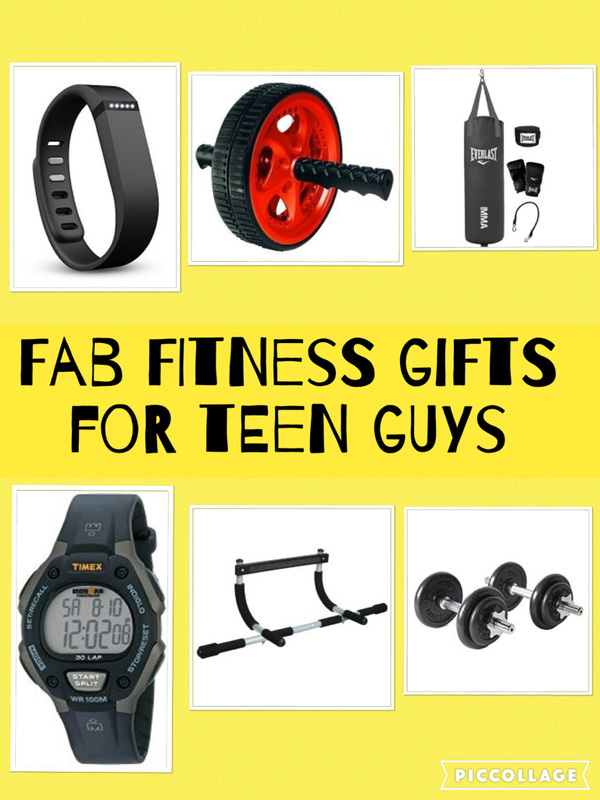 Check out the fitbit and other fitness gifts. Another idea for sporting teens is a sports watch. Sports watches can be really great for everyday use with alarms, stopwatches, nightlights, being waterproof (so can be worn in the shower) and just for telling the time. But you can get great sport watches for all kinds of specific sports as well. Consider running watches, watches for triatholons and watches with heart rate monitors. The Timex is a great choice. It is waterproof up to 330 feet so you can wear it swimming. It has an indiglo nightlight so you can see the time in the dark. There are lots of great features for runners, hikers, triathletes and other sports too. Use the featuring 100-hour chronograph with lap and split times, Indiglo night-light, and 30-lap memory recall. It also features an 100-hour countdown timer with stop and repeat and 99-lap counter. The Fitness Blaze is an activity and sleep tracker which also has lots of smart watch featues too. Essentially it's a smart fitness watch. It tracks all day activity such as steps and workiouts. It has a heart rate monitor. You can also connect the blaze to the gps on your phone so you can map your routes and see stats such as pace and duration on your watch display. There's different sport modes such as biking, running and cardio. It automatically syncs to over 200 of the leading smart phones. as well as other mobile devices with an internet or bluetooth connection. Then it will display information such as call, text, and calander alerts. It also has a music control, silent alarms and a battery life of up to 5 days.. If he enjoys playing video games there are some great gadgets that he will love. They include gaming headphones, a gaming mouse or a games capture device to record your gaming and share it online and with friends. 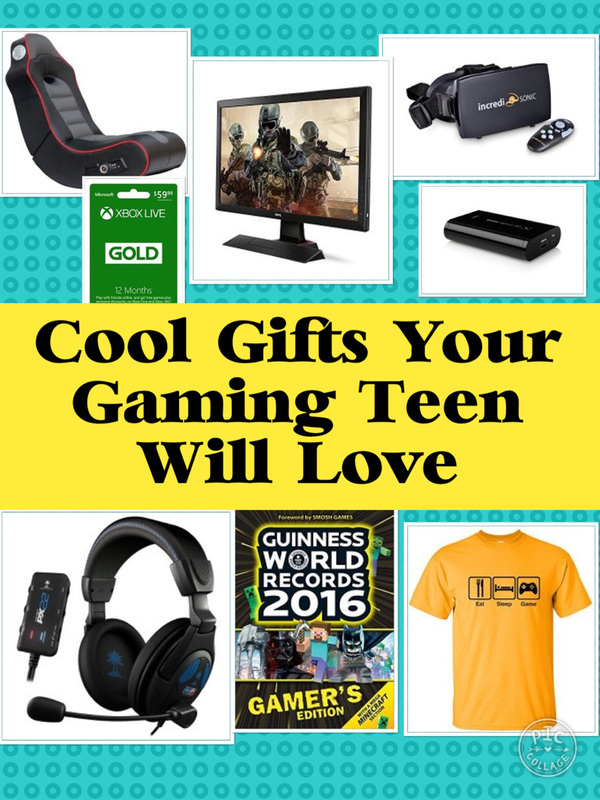 Check out some ideas of gaming gifts for teens. In the age of tech such as smartphones there are lots of tech toys that teen boys will love. Connect drones and cars to your smartphone and then use your phone as a remote control device. See some examples of smartphone controlled toys. There are DIY gaming kits which allow you to build a games console. If they are into electronics and building things check out the littlebits electronic starter kits which he can use to build smart devices and other gadgets. Check out some electronic and invention kits. This 3D pen is a really cool little gadget. If you can draw you will definitely be able to create things with this pen. Turn it on and heat it up. Put the filament inside and once it's heated up, you can get started with your creations. It features LCD Screen shows your control of temperature, speed, filament and unglogging mechanisms. It's lots of fun to create lots of interesting models, designs and creations. It's great for crafts too. Action camera are excellent gifts for a teen boy who like sports and adventures such as biking, skateboarding or swimming and would enjoy shooting video of his escapades. The Go Pro hero session camera is super small and compact so perfect for taking anywhere in a bag. It's waterproof, shockproof and dirt proof and so is brilliant for taking footage of swimming, snorkelling, snowboarding or any watersport you may partake in. It can be attached to a piece of equipment or worn with one of the 3o Go Pro mounts (they don't all come with the session but are sold separately. It can be used to shoot video of all kinds of things, sports, activities, special occasions, music concerts friends, family or just day to day life. It's really easy to control. Just press the button to start filming and press it again to stop. Once it's stopped filming it will automatically power down to save on battery life. It also features bluetooth and wifi so can easily connect to GoPro apps, accessories and more. There are all kinds of cameras that make nice gift for teen boys. From point and shoot cameras to DSLRs. Or what about a fujifilm instax camera which prints your photos out as soon as you've taken them. The Fujifilm instax mini 8 camera opposite takes photos which gives you an instant credit card sized print out. The print outs are great for storing in your wallet, for projects, scrapbooking or just having memories you can share with other people. The camera is lightweight, thin and portable so easy to take anywhere you want. A great gift for the creative teen boy. A smartwatch will connect to his phone so he can get text alerts, email and social network updates, calander reminders, incoming calls and lots more direct to his wrist. They can be extremely useful. He will have access to any important information he needs without having to get a phone out of his bag when walking, at school/college or in the car. There are lots of smartwatches available with a variety of different features. Some of them have the abilitiy to take calls from your wrist. Others have health and fitness trackers. Others are water resistant and allow you to choose different watch faces. The Pebble smartwatch featured below is one of the numerous smart watches available. The pebble smartwatch works with both android (devices running 4.0 and above) and iOs smartphones (works with iPhone 4S and above running iOS 8). It has most standard features you would expect from a smartwatch including notiﬁcations at a glance: calendar events, text and emails, incoming calls, and more. It also includes Pebble Health, a built-in activity and sleep tracker with daily reports and weekly insights. There are some nifty features too which include a built-in microphone for voice notes and quick replies. It has a tough, 2.5D glass display, an awesome battery life or up to 7 days and it's water resistant to 30 meters. ​Covers and cases - covers and cases for cell phones and tablets can be really cool, finding designs that teenagers will love. But they also are extremely practical, protecting his device from knocks and scraps. There are also cases that double up as stands for tablets and phones too. Data storage - data storage can be very useful for backing up data and for transporting data. There are some very cool USB sticks which can be attached to a keyring or to a bag so it's difficult to lose. Some are designed as superheros such batman, a gun or a bullet. Keyfinder - there are lots of gadgets that work with a smartphone too. One idea is a bluetooth gadget that will work with a smartphone or any device which has bluetooth. He can attach the gadget to his key and if he loses it, just press a button on his cellphone to make the device on his keys bleep and find them. Smartphone projector - insert your phone in one end and then beam your photos and images up on a blank wall. Car accessories - if he drives then what about an cell phone holder for his car. If his cell phone has gps he can then use it for holding his cell phone while using the navigation. ​Portable photo printer - If he enjoys photography consider a portable photo printer which allows him to print out photos from his tablet or smartphone via bluetooth. A portable charger can be a Godsend for a teenage boy. How many times is he and about and he's run out of battery on his phone because he forgot to charge it. ​A portable charger means that both you and he have peace of mind there is a back up in these situations and you can both get in touch. The Anker portable charger is small and compact and can fit in a bag or even a pocket. It should give most phones at almost one full charge. It makes a fantastic stocking filler gift for the teenage boy.